A Line Chart uses the same type of data set as a Column Chart or Bar Chart. Generally it works best to disable 3D for this type of chart. Note that this type of chart is especially appropriate when showing multiple series of data because there are not problems with overlapping data sets. 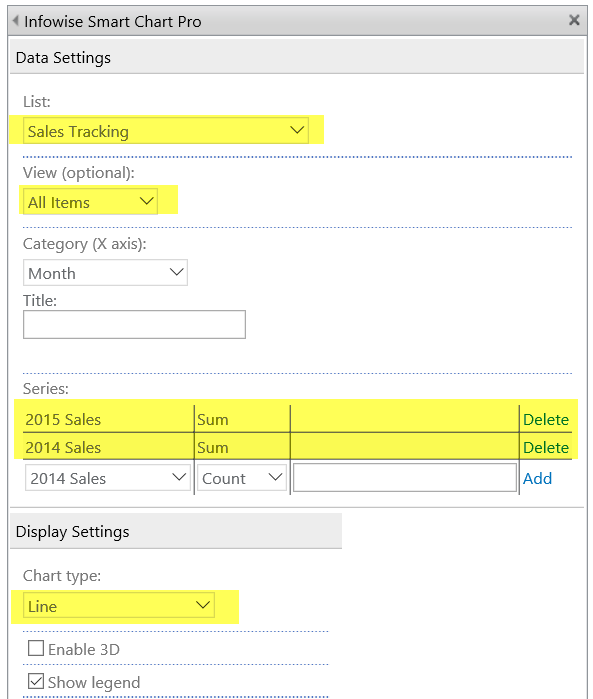 Use the same data set from the Bar Chart example. Apply the formattings settings shown using two data series and disabling 3D. Line Charts are a good choice when plotting multiple data series. 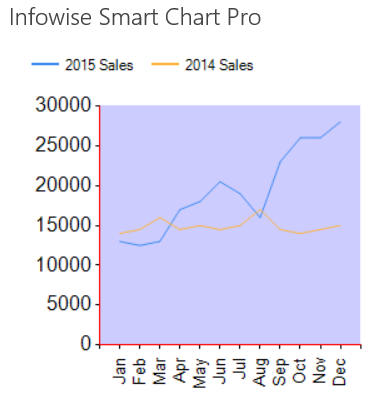 Along with the Column Chart this is one of the most flexible and frequently used chart types.